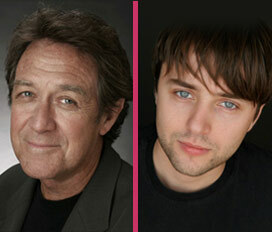 “Mad Men” star Vincent Kartheiser and Broadway’s Larry Pine (CASA VALENTINA) will play Billy Wilder and Raymond Chandler, respectively, in BILLY & RAY, Mike Bencivenga’s new play — directed by the legendary director/writer/producer Garry Marshall — being given its NY premiere this fall at the Vineyard Theatre (108 E. 15 St.), with previews scheduled to begin October 1 prior to an official opening on October 20, it has been announced by Vineyard’s Artistic Directors Douglas Aibel and Sarah Stern. Completing the cast of BILLY & RAY are Sophie von Haselberg (THE CAT AND THE CANARY) as Wilder’s long-suffering secretary, and Drew Gehling (JERSEY BOYS) as a beleaguered studio chief. BILLY & RAY — a whip-smart comedy charting the birth of the film noir genre — follows literary odd couple writer-director Billy Wilder and novelist Raymond Chandler as they contentiously collaborate to adapt the novel Double Indemnity for the silver screen. Set in 1940s Hollywood, BILLY & RAY is the true story of how two brilliant and thorny artists battled the Hollywood censors and each other to create a groundbreaking movie classic. Also announced is the design team for BILLY & RAY with scenic design by Charlie Corcoran, costume design by Michael Krass, lighting design by Russell Champa and sound design by David Van Tieghem. Mr. Marshall will direct BILLY & RAY Off-Broadway, having directed the play’s critically-acclaimed world premiere in the spring of 2013 at the Falcon Theatre, located in Burbank, California and founded by Mr. Marshall and his daughter Kathleen Marshall LaGambina. Joseph Leo Bwarie will serve as assistant director with Mr. Marshall as he did on the Falcon Theatre production. Vincent Kartheiser received two SAG Awards for his performance as the ambitious young ad man Pete Campbell in AMC’s hit series “Mad Men”. He played the lead villain in the Andrew Niccol’s feature In Time opposite Justin Timberlake and he appeared in Universal’s film Alpha Dog. He also starred in the independent films Elektra Luxx, Killing Zelda Sparks and Waining Moon. Sophie von Haselberg makes her NY theater debut with BILLY & RAY. She has previously appeared in THE CAT AND THE CANARY at Berkshire Theatre Group, OUR TOWN at Williamstown Theatre Festival and THE FATAL EGGS at Yale Cabaret. She also worked with Woody Allen on his next feature film. Drew Gehling appeared on Broadway in JERSEY BOYS and ON A CLEAR DAY YOU CAN SEE FOREVER, and Off-Broadway in A MINISTER’S WIFE and ANNE OF GREEN GABLES. Director Garry Marshall is a veteran producer, director and writer of film, television and theater. After graduating from Northwestern University’s Medil School of Journalism, he went on to create, write and produce some of television’s most beloved situation comedies, including Happy Days, Laverne & Shirley, Mork & Mindy and The Odd Couple. Marshall is passionate about live theater. His play SHELVES was performed at the Pheasant Run Playhouse in St. Charles, Illinois, and THE ROAST, which he co-wrote with Jerry Belson, ran at the Winter Garden Theater in New York. In addition, he co-wrote WRONG TURN AT LUNGFISH with Lowell Ganz, which he then went on to direct in Los Angeles with Hector Elizondo, and in Chicago and Off-Broadway with George C. Scott. At the request of Placido Domingo, he made his operatic directing debut at Los Angeles Opera in 2005, with his own adaptation of Offenbach’s THE GRAND DUCHESS, starring Frederica von Stade. In 2007, he joined the San Antonio Opera to direct ELIXIR OF LOVE, which received rave reviews. He has directed 17 movies. Among them are Pretty Woman, Beaches, Overboard, The Princess Diaries 1 & 2, Runaway Bride, Valentine’s Day and New Year’s Eve. In 1997, Mr. Marshall built a theater in Burbank, California with his daughter Kathleen, called the Falcon Theatre. HAPPY DAYS: A NEW MUSICAL made its debut there, co-produced by his sister Ronny Hallin, who also produced the TV series. Mike Bencivenga is a writer and director of theatre and film, whose full length plays include SINGLE BULLET THEORY, COUPLETS, SUMMER ON FIRE and, most recently, BAD HEARTS. In 2013 BILLY & RAY won the prestigious W. Keith Hedrick award for best play. Mike has also written and directed two feature films, Losers in Love and Happy Hour (co-written with Richard Levine) starring Anthony LaPaglia, Eric Stoltz and Robert Vaughn. Happy Hour received the Audience Award for Best Feature at the 2004 Florida Film Festival and the PRISM Award for Best Festival Film in Los Angeles. In addition, Mike is an Emmy-winning producer for his work at WABC-TV in New York. 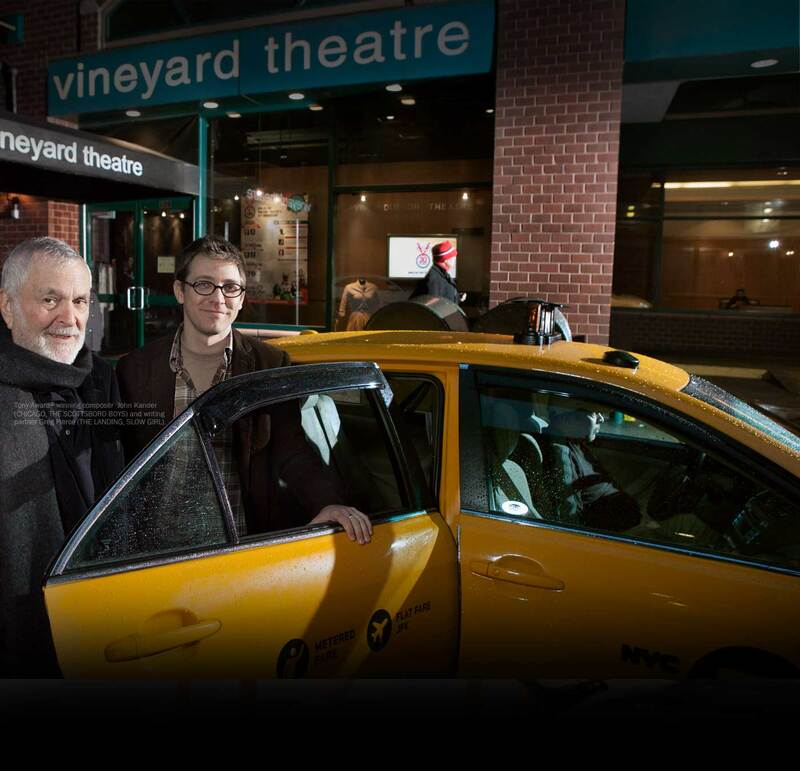 Later this season, The Vineyard will present the world premiere of the musical BROOKLYNITE by Peter Lerman and Michael Mayer, with choreography by Steven Hoggett and directed by Michael Mayer; along with the world premiere of Branden Jacob-Jenkins’ play GLORIA, directed by Evan Cabnet. CLICK HERE to become a member. BILLY & RAY will begin performances October 1 with shows on Tuesdays and Wednesdays at 7 pm, Thursdays through Saturdays at 8 pm and Saturdays and Sundays at 3 pm. Tickets will go on sale to the general public on September 4.